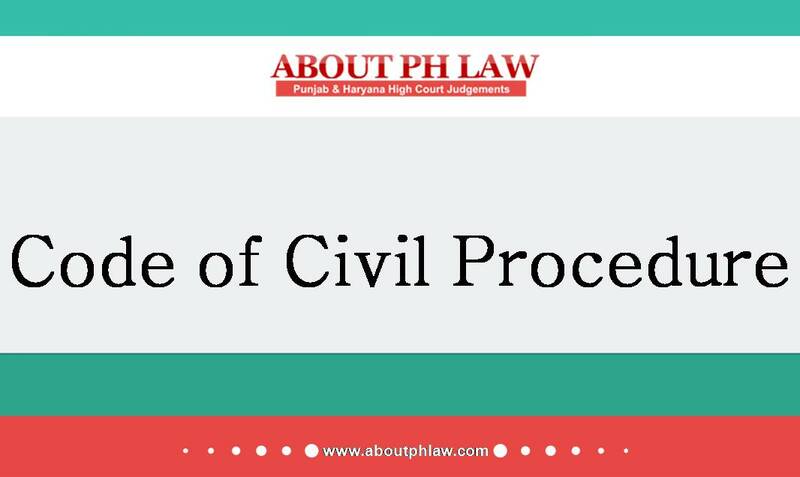 Civil Procedure Code, 1908, O.9 R.2-Non Service of Summons-Suit for Partition- -Suit for possession by way of partition of joint land cannot be decided in absence of all the co-owners being joined as a party either on the array of plaintiffs or defendant(s)~Suit held to be rightly dismissed as some of the defendants being co- owners in the suit property were not summoned. Comments Off on Civil Procedure Code, 1908, O.9 R.2-Non Service of Summons-Suit for Partition- -Suit for possession by way of partition of joint land cannot be decided in absence of all the co-owners being joined as a party either on the array of plaintiffs or defendant(s)~Suit held to be rightly dismissed as some of the defendants being co- owners in the suit property were not summoned. Dismissal of Suit– Non payment of publication charges— provision is applicable to a suit and not to application for final decree. Comments Off on Dismissal of Suit– Non payment of publication charges— provision is applicable to a suit and not to application for final decree.